Journalist Lasantha Wickrematunge was mysteriously killed soon after he revealed the corrupt deal involving the purchase of MIG jets during the previous regime, Health and Indigenous Minister Dr. Rajitha Senaratne said. “Although the value of each MIG jet purchased was mentioned as 14.6 million euros, almost 7/5 million euros of it had been pocketed by a certain big wig of the previous regime,” the minister said. He was addressing the gathering at the first anniversary celebrations of the Good Governance Government at the Sanath Jayasuriya Stadium, Matara on Friday. “Journalist Prageeth Ekneligoda went missing soon after he published a series of articles about the governing coterie of the previous regime. Although Ekneligoda was accused of having LTTE links, the investigations currently underway have proved that he had no connection whosoever with the LTTE,” the minister said. Leading ruggerite Wasim Thajudeen’s death was caused under questionable circumstances during the previous regime. Investigations into all these incidents were putting the legal noose around the necks of leading figures of the previous regime. 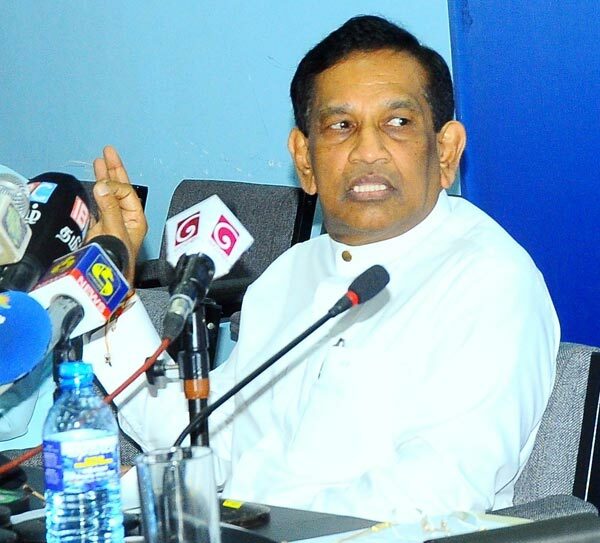 Today, leading members of the previous regime in Colombo with the Joint Opposition are trying to topple the government in an attempt to avoid imminent arrest and penalisation for their past misdeeds, Senaratne said. He said the present government would continue till 2020. “Former President Mahinda Rajapaksa had said that he would be visiting Italy and Australia next week. The government would not stop his trips because it was better for him to go abroad and enjoy the salubrious climate,” Senaratne said. Referring to Parliamentarian Dullas Alahapperuma’s resignation from the post of SLFP Matara district organiser, the minister said he had done so to overcome the ignominy of imminent expulsion within the next two weeks. The minister added that the Good Governance Government has showered many benefits to the people after assuming power. “It has reduced the prices of essentials, increased the salaries of public servants and granted many other benefits to the public. Above all, it has strengthened justice and afforded people an environment to live without fear or suspicion in any part of the island,” Senaratne said. “This should be borne in my mind by the Rajapaksas and their cohorts who question as to what difference or change for the better the Yahapalana government has brought about in the country,” he said.